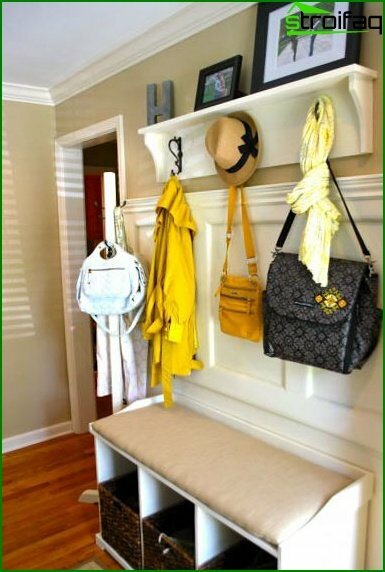 See how easy it is to make your small corridor spacious! 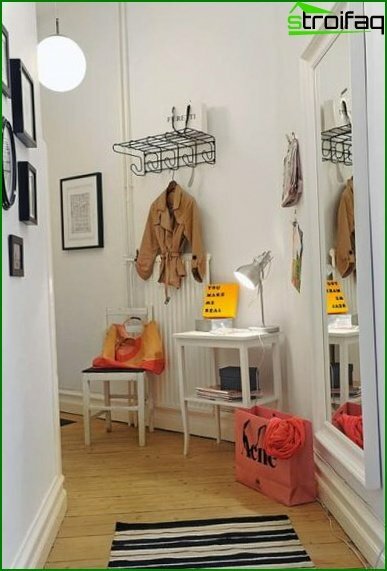 TOP-50 photo design of a small hallway. The best hallways in the small corridor. 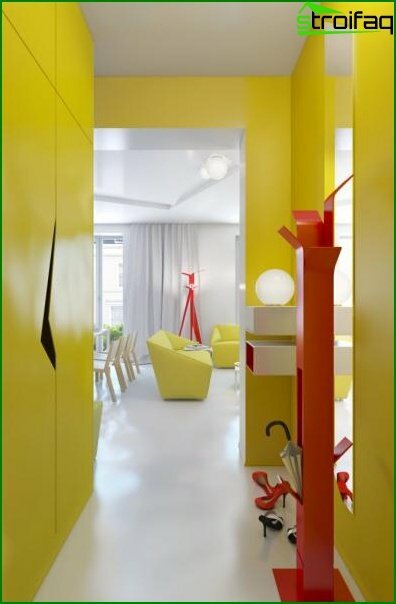 Repair and design of the hallway in the corridor, as well as the wholeApartments - a pleasant and creative business. 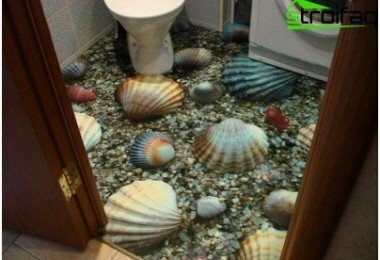 Modern realities are such that the choice of design options for any room can be unlimited - there was a fantasy! Many websites, catalogs, shops, designers, etc. come to the aid. This is all at the stage of inspiration and the birth of a certain idea. When it comes to the actual incarnation, completely different, more prosaic problems may suddenly come to the fore. As, for example, a small footage of the room. 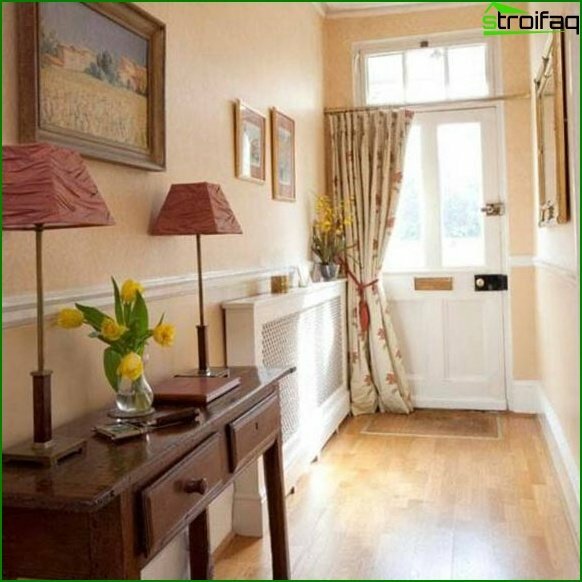 In this article, we will consider all the cornerstones of a small room in the photo of examples of hallways. As was indicated above - it will be aboutHallways into a small corridor. 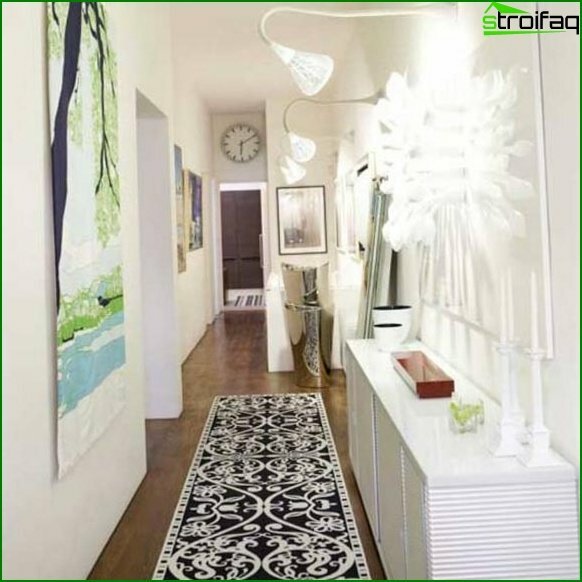 Miniature size and is the very first nuance in the design of the hallway. It is not always easy to take into account all wishes and skillfully fit them into the dimensions that are available. But it's always real. The most important thing in this business is to start from the very beginning that we have (more precisely, with what we work). Small size? - Well! 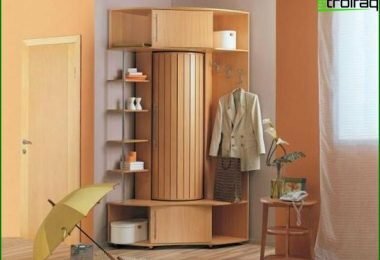 Throw away the dreams of a large closet-wardrobe, a heap of pleasant optional furniture units and extras in the interior (such as a large vase at the entrance or a cozy sofa). 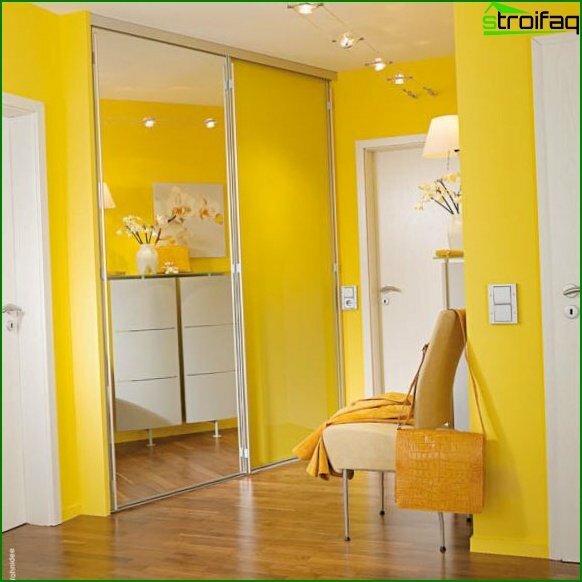 It is the size of the room should be the starting pointPoint for any solutions. If you do not forget about the number of available square meters at all stages (from planning to implementation), the result will be rewarded. Do not take the room as LITTLE. Think of it as an ESP, non-standard. 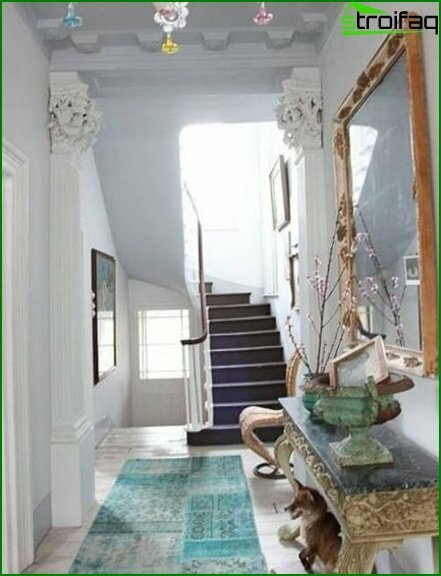 Accordingly - and the ideas in the head will be asked for specifically, suitable specifically for your hallway. 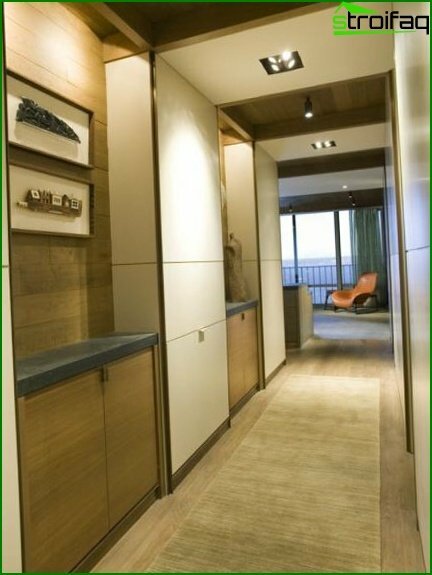 Other pitfalls (narrowness of the corridor, corners and turns, low ceiling) are all details and details of the small hallway. Every moment can be beat! And beat is profitable! Furthermore - Each nuance can be turned into dignity. The dark corridor? Take care of the idea and turn it into a cozy one from the dark! Low ceiling? Backlighting for help! But, about specific ideas - below. Corner hallways from all small-sizedProblematic. At the planning stage, it may seem that to make something worthwhile in the end is a hopeless business, the conditions are not the same. But do not despair. Let the uncomfortable corner of the hallway be not only a difficult moment, but also an assistant in overplaying your idea. 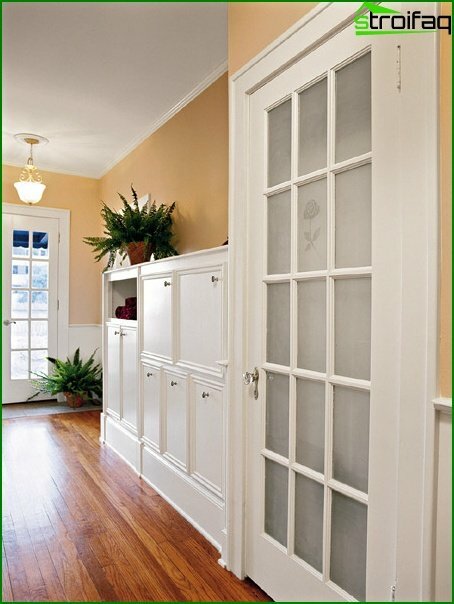 Corner hallways are good in that all solutions of the premises can be solved at a time. 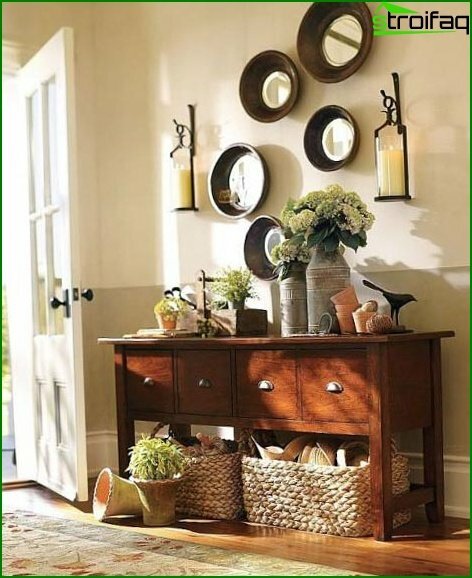 It is not necessary to think over how to place everything desired along the corridor. 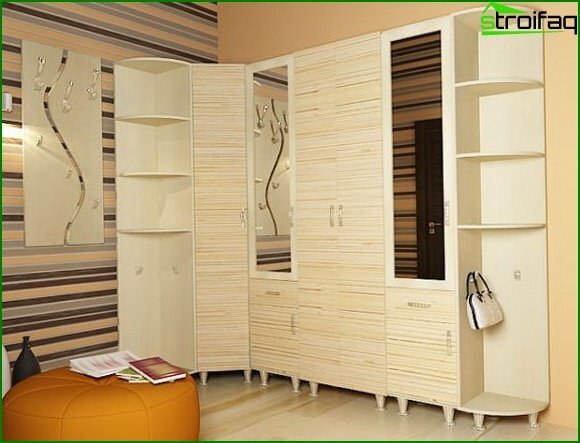 Most often - you do not have to suffer with the depth of the cabinets (after all, the angle itself allows you to place a large design in it). Unity of furniture design. Think carefully about how to combine the departmentFor outerwear, hats, umbrellas, gloves, housekeeper and galoshnitsa in a single whole. Disconnect all this does not make sense, and the corner hallway will not allow it for reasons of its own peculiarity. Simply put: there is a corner - here and use it! In other words, let it work. Softening corners. 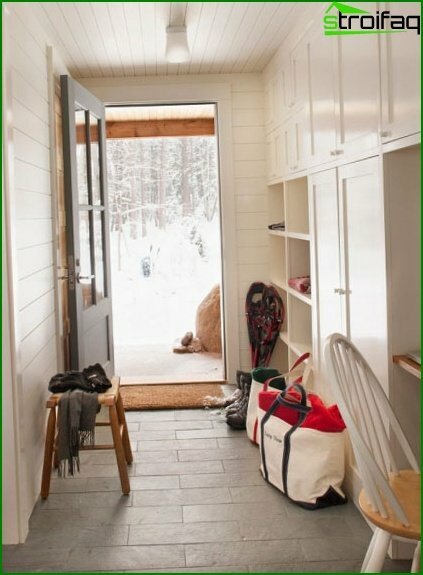 If the hallway is very small, and useWant every useful centimeter - boldly plan in this direction. The furniture design is perfectly permissible to "flatten" the whole angle. 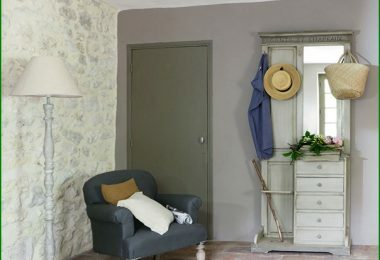 Just soften the corners of the furniture design, so that it all looked appropriate and well inscribed in the dimensions of the walls. 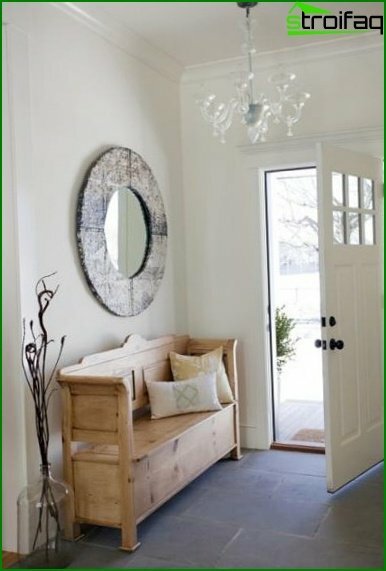 On the convenience, too, do not forget: the rounded corners of furniture will not interfere on the way to the adjacent rooms. Why is this item going separately? 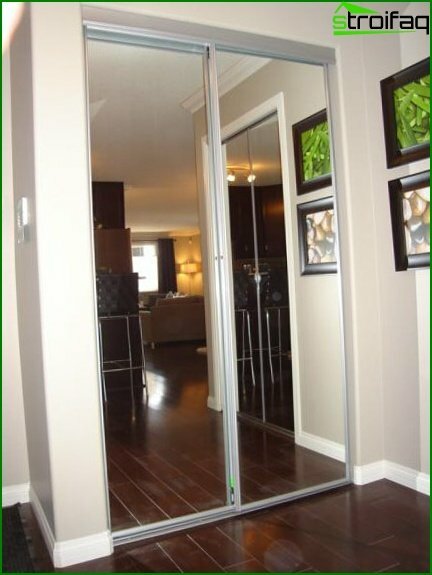 Yes, because Corridor sizes are very small - sometimes from two square meters. 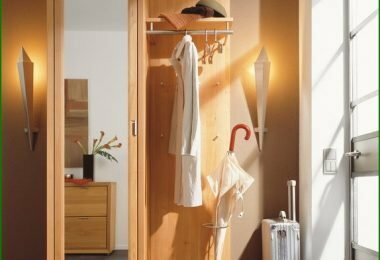 The most correct solution in this case may be a global alteration: the transformation of the toilet room into a wardrobe, and the bathroom into a combined bathroom. But conditions can not always allow this. And not every family is ready to give up the convenience of a separate bathroom. Important! 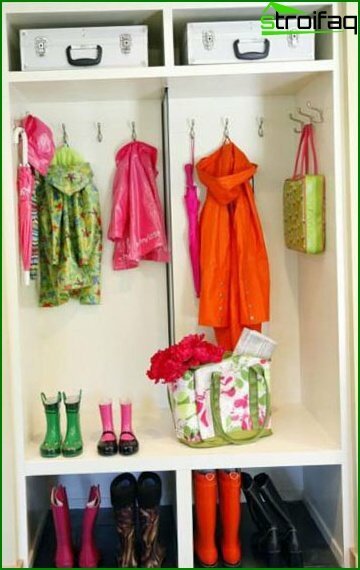 Give up the idea of ​​keeping all the outer clothing in the hallway. 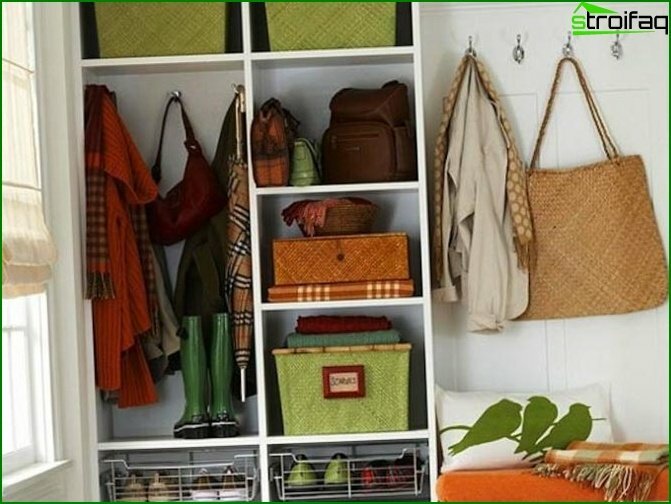 Let there will be only actual things that can be changed in the closet according to the weather and the season. 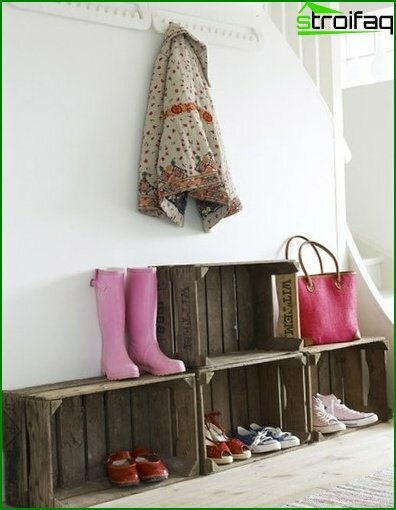 Do not litter the corridor with numerous shoes. 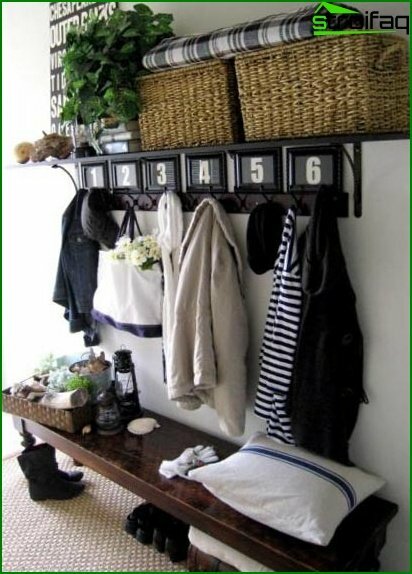 Let the cabinet have a convenient compartment at the bottom, containing the necessary number of shoes needed in the coming season. 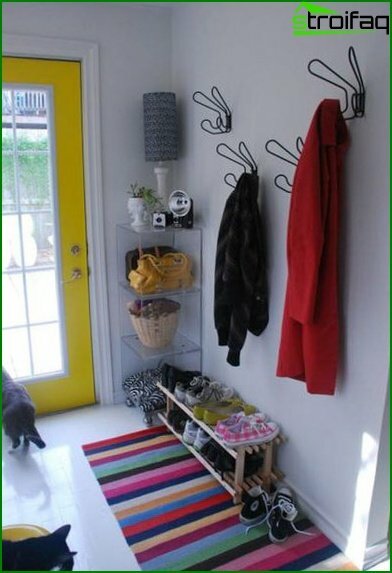 If you act differently, the hallway will always beHave the appearance of the centipede's home, even if there are only 3-4 extra pairs of shoes there. 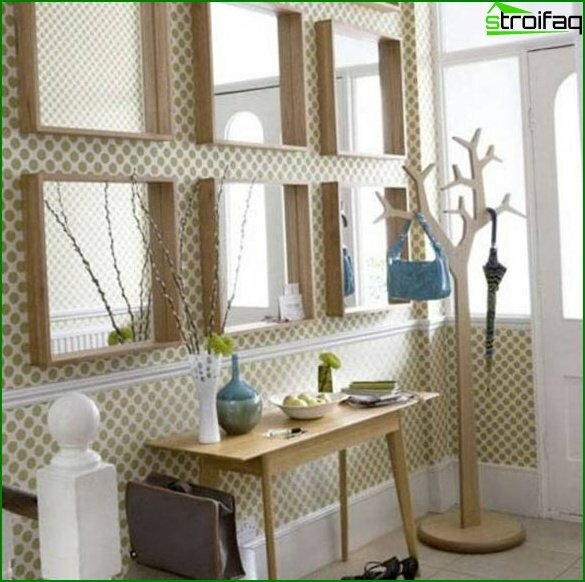 Small corridors are so problematic that only a couple of extra items can spoil the whole view and give the room a cluttered look. Read our article about classical techniques and new trends in Design of toilets! A small corridor is not a problem. This is an opportunity to prove yourself creatively. It is not necessary to invent a bunch of design details that I would like to bring into the room. Let simplicity and brevity become the starting points in making concrete decisions. 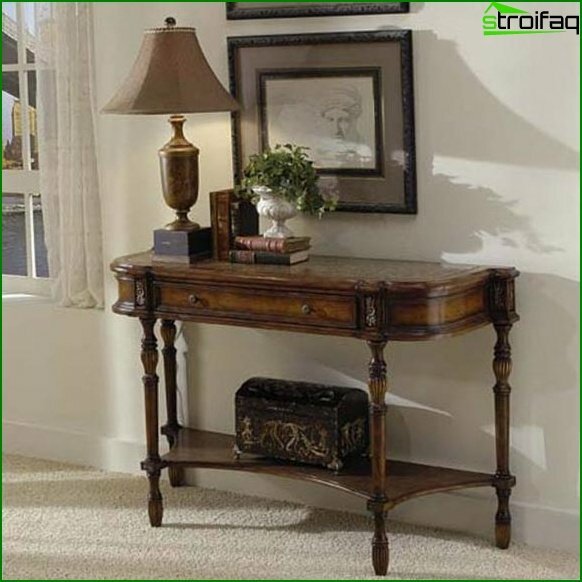 In a small corridor, furniture should not stand out. Neither the size, nor even the colors. This will visually "cut" the room. 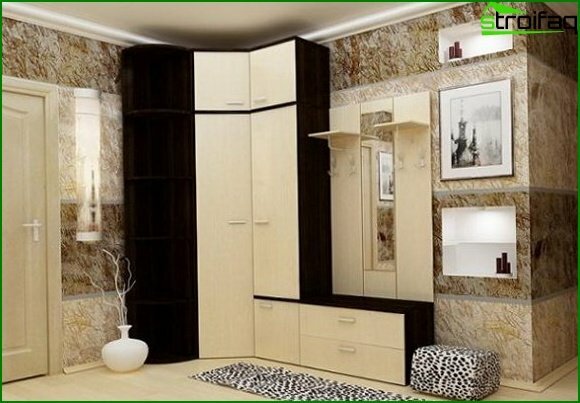 It is better to go the opposite way and unite the walls with the furniture together. Especially it is possible to beat it in color. 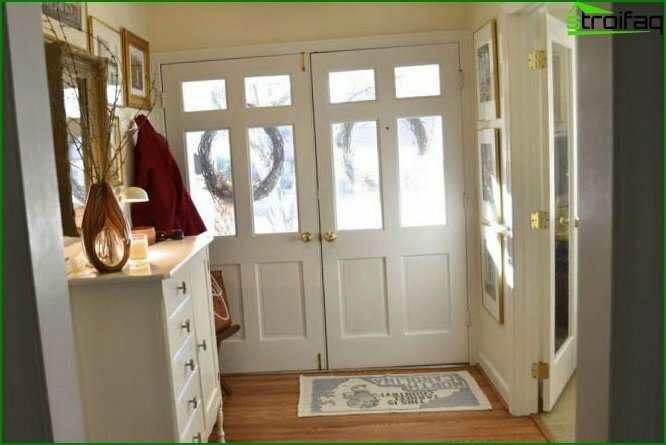 Imagine a hallway in white with a small white cabinet? Plus - the correct backlight and minimum details? It's beautiful! White color is given as an example. 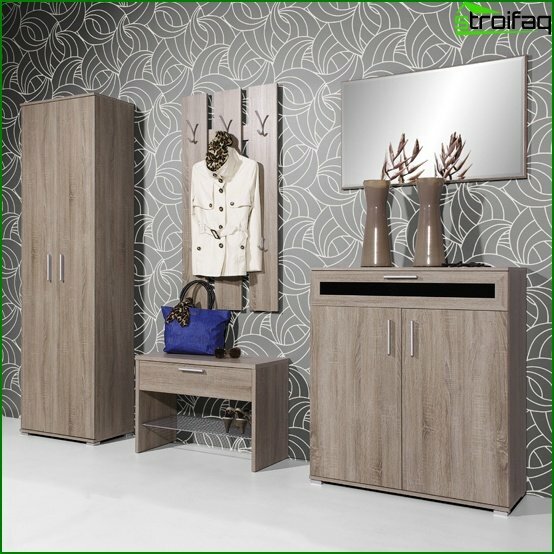 Modern options for choosing furniture (both ready-made and custom-made) will make it possible to embody any desire, any whim. Note! 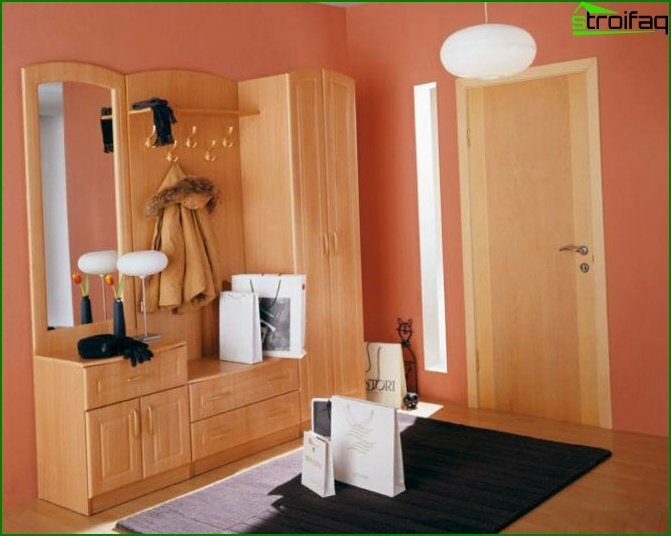 The main thing to remember - the room is small and it is better to adhere to light colors. Do not make the hallway dark, it will "steal" the volume. 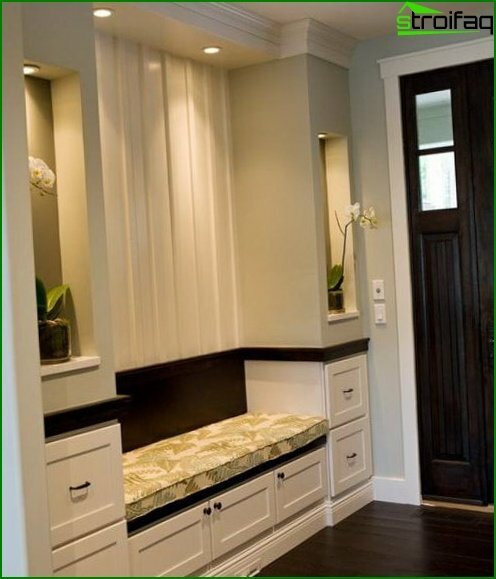 The idea of ​​assembling an entrance hall from several lockersIs good. Now, furniture manufacturers are trying to take into account the most diverse tastes of consumers and enable themselves to make decisions in how the furniture ensemble will end up looking. 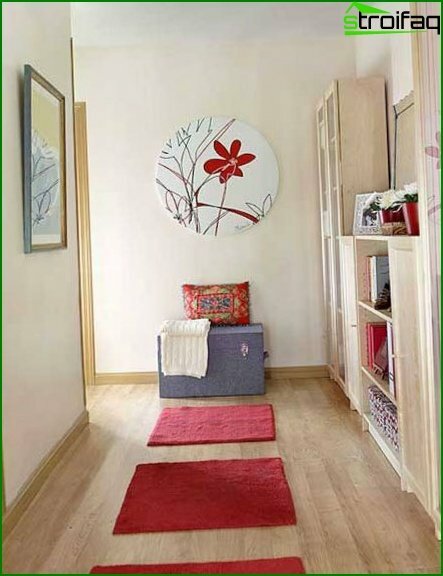 Measuring the exact dimensions of the hallway room, you can fantasize and plan in the store when choosing modules in the hallway. Several lockers from the same series - and the question is settled! 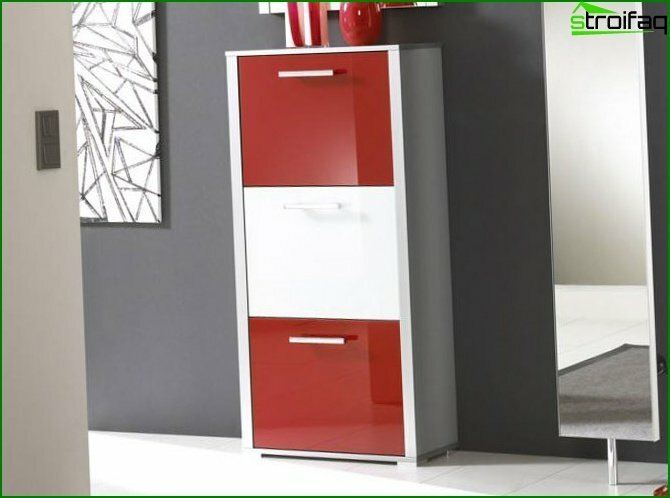 Plus the modular furniture is that you canAs much as possible to satisfy both your own taste and all your pressing needs. No one will force you to buy an unnecessary locker-module, you decide which elements the hall will be made of. 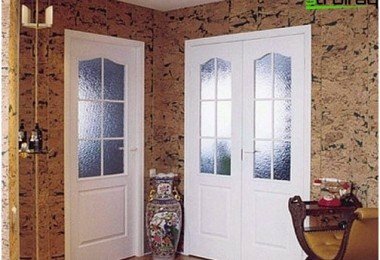 This option is well suited for those who do not want to resort to a custom-made furniture, but at the same time wants to optimally design the hall. Of course, this is a successful decision almost always. 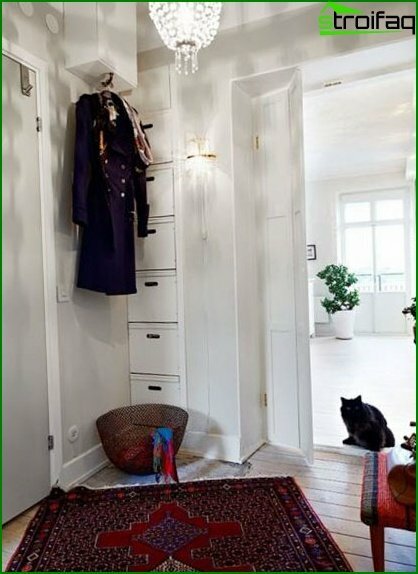 After all, what could be better than a single closed cabinet, in which all the items needed in the hallway are "hiding". 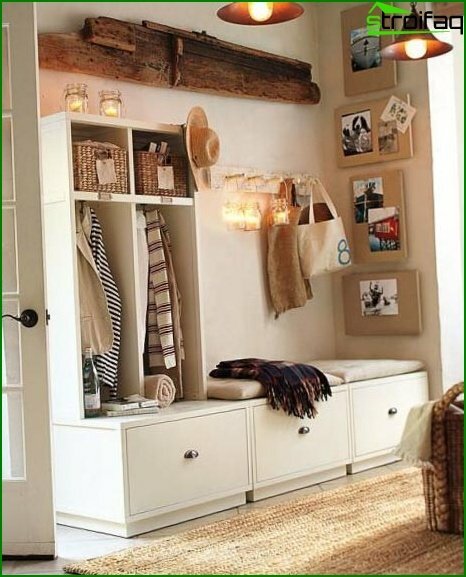 The main plus of the closet is its doors. This is especially true in small corridors where swinging doors can become a nuisance. 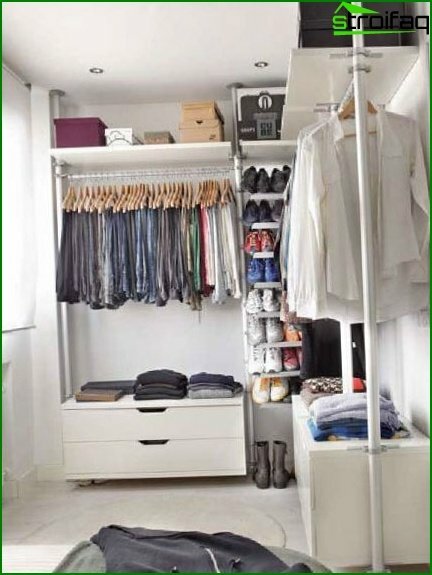 If necessary and desired, you can place in the hallway a mirror with a small shelf for small things, and put everything else in the closet. 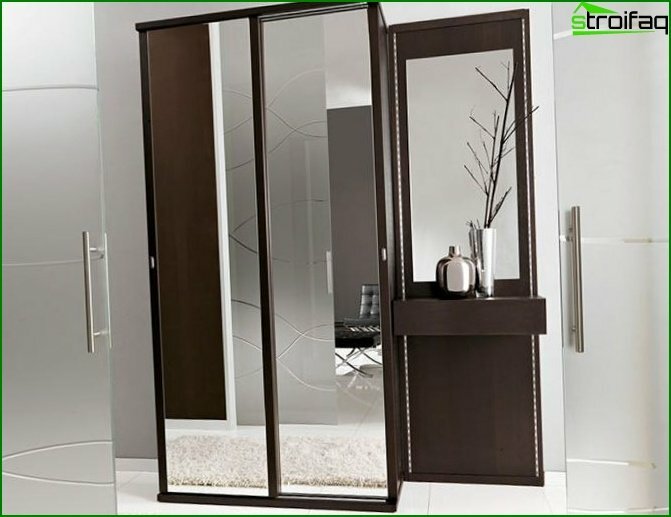 And you can do without it, because The doors of the cabinet can be made mirror!! 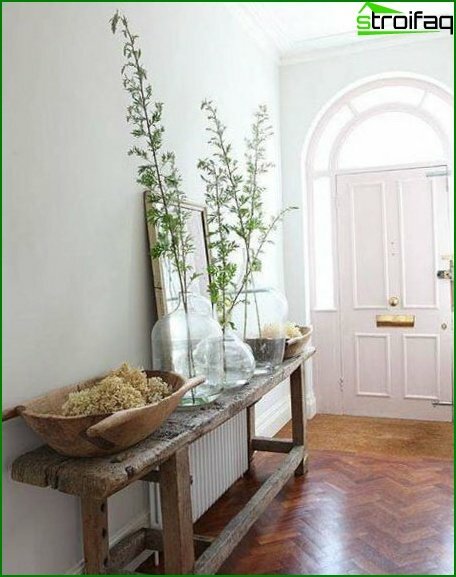 In addition to convenience, this will help visually increase the entrance hall. 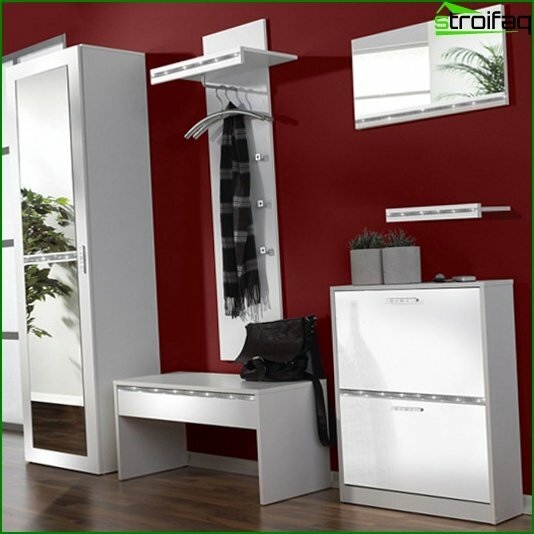 Read more about choosing a wardrobe in accordance with the chosen style and your preferences. 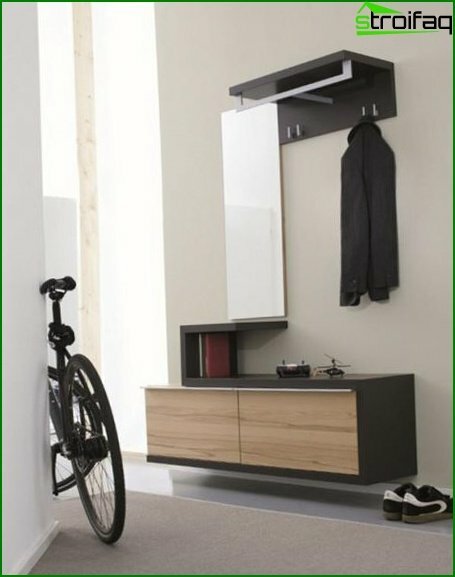 The closet is not necessarily bulkydesign. 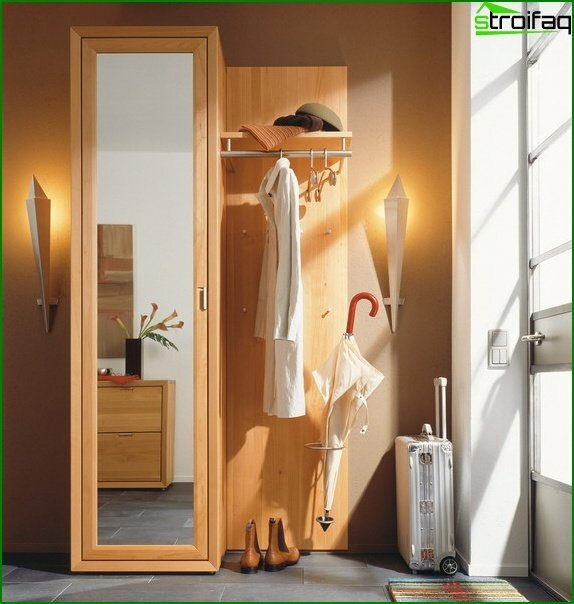 A small locker with comfortable sliding doors can be a good solution in the smallest rooms. 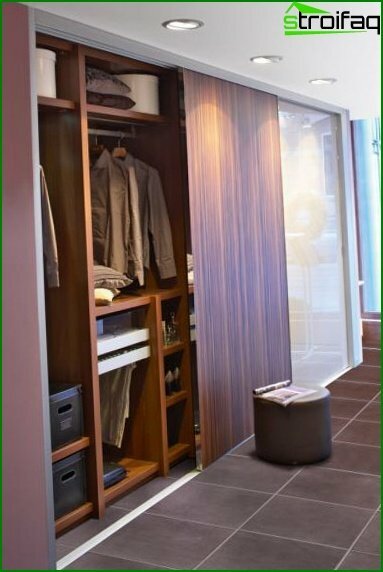 In addition to convenience, the aesthetics of the solution will also be respected - after all, the clothes placed behind the doors are much better than the open hanger. Practicality If the hallway is small, contact with the wallsIs inevitable. Let it be infrequent, but ... There is nothing more offensive than outer corners rubbed by outer clothing with the general good condition of the walls. 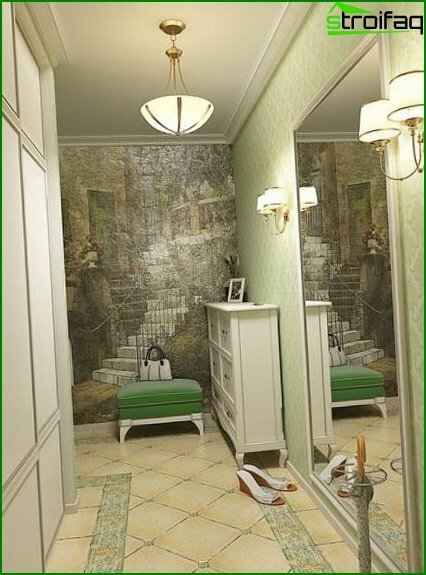 Therefore: wallpaper in a small corridor should be chosen strong and resistant to mechanical damage. And what they will be in fact (paper or liquid) - it's up to you. The principle of the golden mean First of all, it concerns color. Yes, I mentioned above even about the hallway in white tones ... But this option should be chosen, being ready for an early (frequent) replacement of wallpaper. 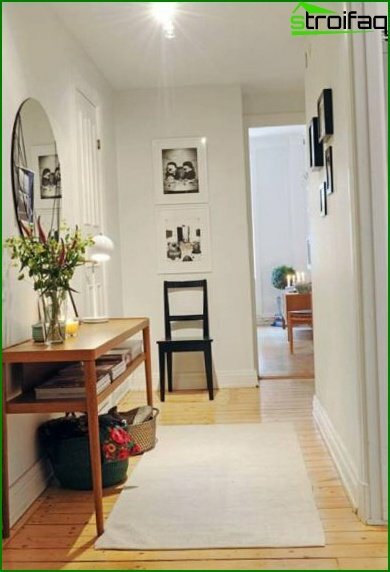 After all, the corridor (vestibule) is the first room of an apartment that we get to from the street. Accordingly - street dust and seasonal mud will settle there. If you are not ready for this - do not go to extremes. 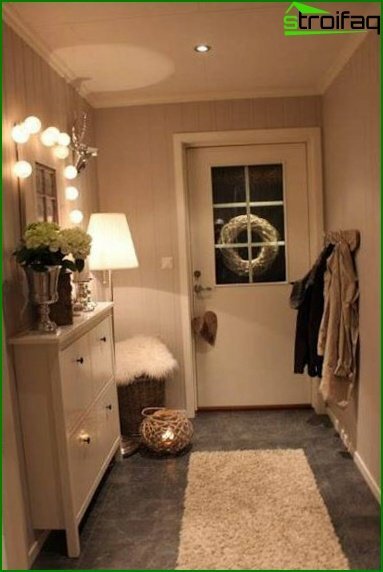 Yes, light colors are preferable for small corridors, but there are so many colors and shades besides white! 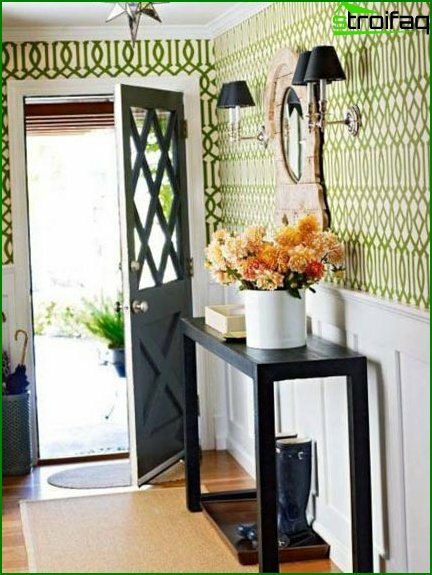 Do not also get involved in excessive practicality and choose very dark wallpaper. 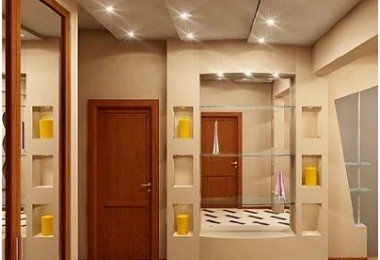 Lighting, even the most active, can not save the situation, the hallway will seem tight and gloomy. Proportionality Very unsuccessful in a small hallway will beLook wallpaper with a large pattern. Immediately give up this choice. 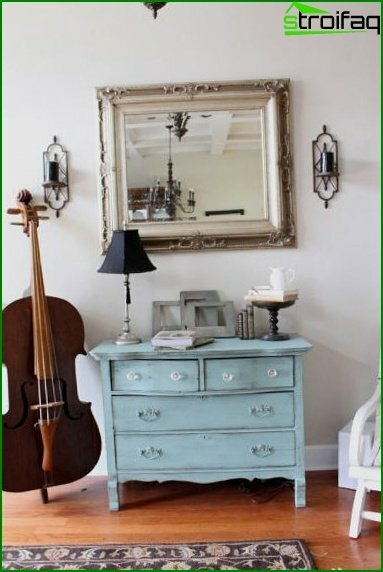 A motley small drawing can also play a bad role and turn the hallway into a "casket". 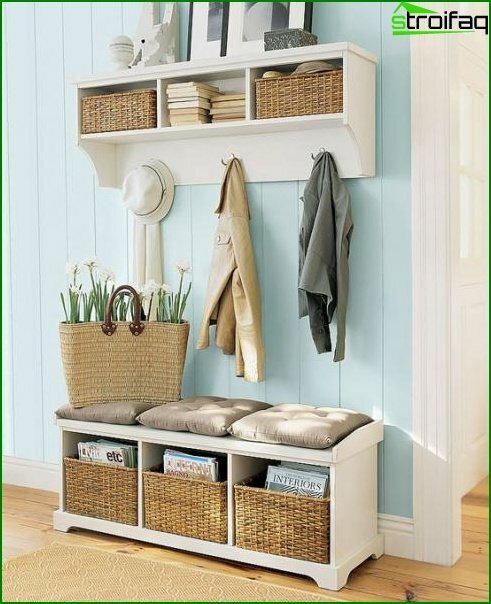 Everything is simple: a small room - small parts (which should also be at the minimum). The principle "from the reverse" Everything is simple. If the ceilings are low - feel free to use wallpaper with vertical stripes. If high - with horizontal. The main thing - do not mix it up! 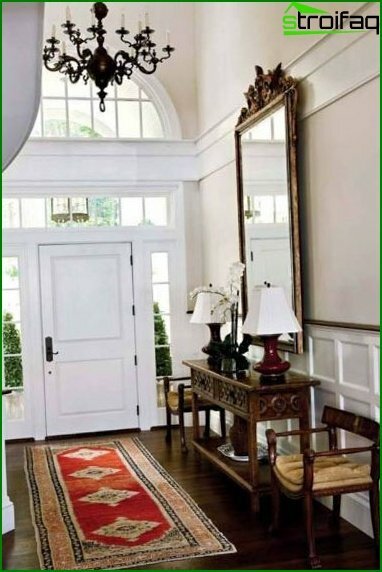 There is nothing sadder than a tiny corridor, turned by vertical strips into a well or a small hall with high ceilings, "stripped" transversely. 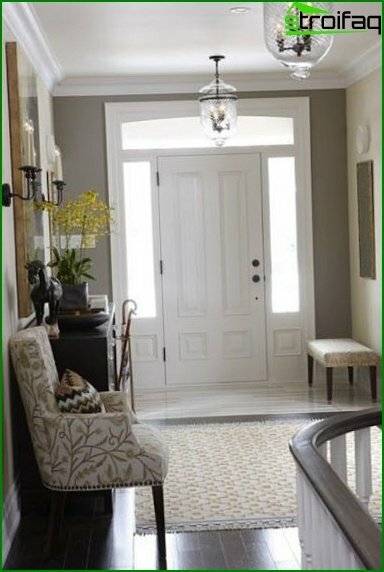 Other modern variants of finishing the hallway in the style of 2017 - in our article! Summarize all of the above would be like this: Experiment! Yes, to adhere to some general principles and advice when designing is necessary. But, at the same time, it is worth moving away from the canons and typical boring options. Try it and you will succeed!